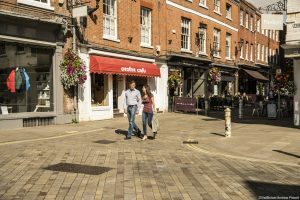 Spend a day (or two) in historic Winchester this Christmas, discover activities, memorials, historic buildings and amazing sights that you (probably!) never even knew were here. It’s also less than an hour by train from London Waterloo. 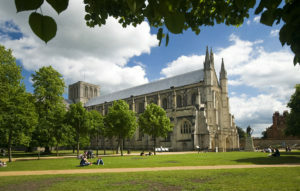 Green Badge Guide, Graham Reynolds gives us his top five tips for visiting Winchester. 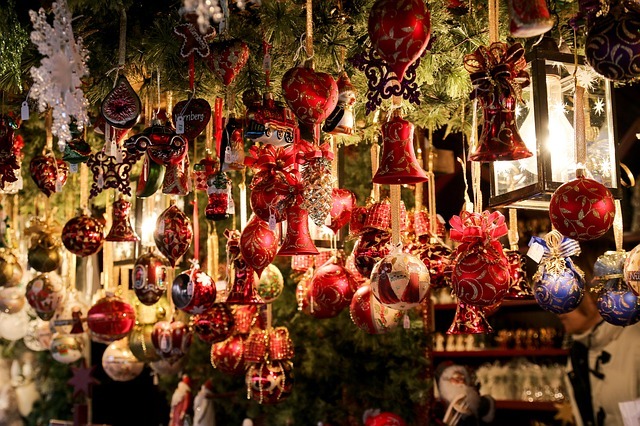 This is one of THE best Christmas Markets in Europe. Explore over 100 chalets nestling in the Cathedral close, with stunning views of the Cathedral as a backdrop. Chalets with unique and exclusive products with a clear focus on independent British crafts and festive foods by artisan producers. 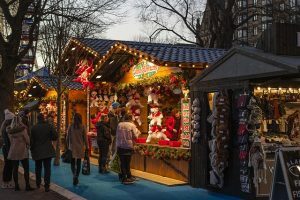 The enticing heady scent of mulled wine will lead you to those chalets with a wide variety of festive food and drink to keep you warm and full of energy for more shopping! And all around you the historic inner close with our fabulous Deanery, beautiful buildings and even Roman columns. Unmissable and with no entry charge! If you want to take a break from the shopping or to burn off a few calories, right in the centre of the market is the Cathedral Ice Rink – complete with a clear roof to make sure there is no rain on your parade. For adults and children alike with skates and fun skating aids available. New this year is a giant Christmas tree right in the centre of the rink. You simply couldn’t visit Winchester without exploring our wonderful Cathedral. Try an alternative view with one of our festive twilight tower tours (17/11 to 17/12, various dates and times). When you get to walk through the ancient roof space and see 14-metre long roof timbers more than 900 years old, visit the bell tower and get a bird’s eye view of Winchester at dusk and the Christmas Market below you. And there’s more – the longest nave of any medieval cathedral in Europe; the Winchester Bible, Jane Austen’s last resting place (yes, she is buried in our cathedral), the most amazing font you have ever seen, stunning stained glass and many memorials. In the run-up to Christmas, there is a packed programme of services and events, including family carol services and a showing of the Snowman. Surrounding streets are all festooned with Christmas lights and a huge tree in the High Street. So festive and filled with independent shops selling a massive variety of high-quality products – not your run of the mill high street – so come for your Christmas shopping. The High Street is packed with historic buildings, our famous City or Butter Cross and at the bottom, our iconic statue of King Alfred the Great who ruled Wessex in the late 8oos. And when you are ready to refuel, a truly astonishing variety of restaurants to suit all tastes and budgets. From the well-known chains to independent quirky eateries (like Piecaramba), gastropubs and three celebrity chef eateries – Rick Stein, Raymond Blanc and Hugh Fernley-Whittingstall, it’s all here! 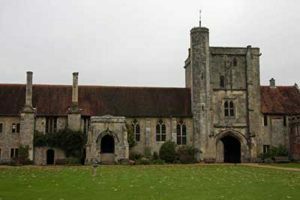 Winchester’s best-kept secret is the Hospital of St Cross and you simply have to visit this historic enclave, described by Simon Jenkins in his ‘England’s Thousand Best Churches’ as England’s most perfect almshouse. Started in the 1130s, the Hospital still provides shelter for a community of 25 elderly men, who wear traditional black and red robes and a trencher hat for daily church service and other formal occasions. A collection of fine medieval buildings with masses of history and with a centrepiece of a fine Norman to Early English church with soaring tower, chancel, transepts and nave looking more like a cathedral than a church. A must for lovers of architecture and as seen in BBC’s Wolf Hall. Read more about what a tour of Winchester might include.